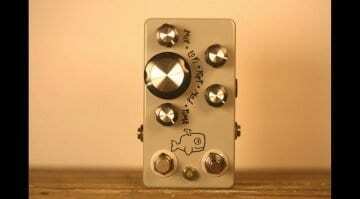 Hungry Robot Pedals are a guitar stompbox company who are exploring the world of modular synthesis but in a guitar pedal style. They are calling the product line Hungry Robot Modular and this is a quite brilliant idea. 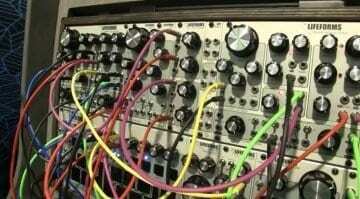 We’ve seen desktop modular before in the shape of effects boxes from companies like Erica Synths or Analogue Solutions. We’ve got loads of little desktop synths and semi-modular devices but they tend to be complete voices or noise making machines. What Hungry Robot Modular have done is take Eurorack style individual synthesizer modules and jam them into guitar pedal sized boxes. So a filter in one box, an LFO in another, an oscillator, sequencer and so on. But these are designed for the tabletop, not for your feet, so they have knobs and finger-friendly buttons. You’ve then got regular Eurorack connections in order to patch them together. Why is this brilliant? 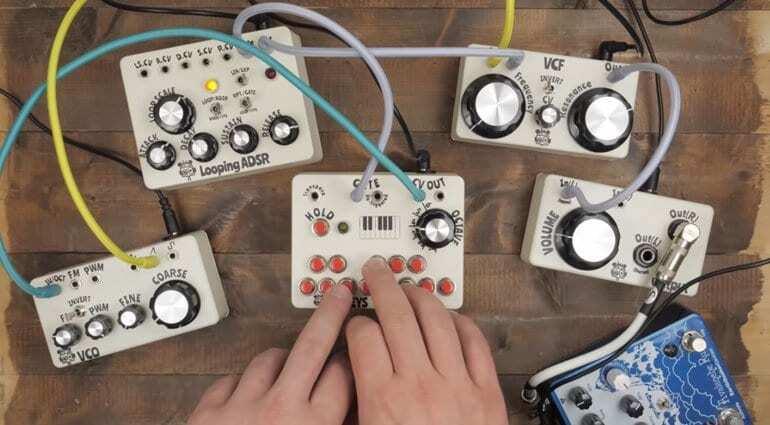 Because you end up with compact, self-contained modular synth modules that don’t require the expense or space of Eurorack cases, power supplies or ribbon cables. They all run off the same 9V DC power supply that you would use with guitar pedals. And they’re cheap (in Eurorack world) where they range from the most expensive at $150 for the VCO or Looping ADSR down to $75 for the Mixer, Multiple and other utilities. 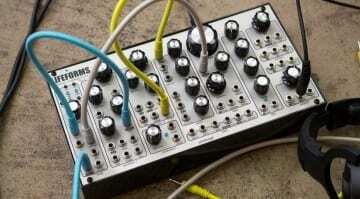 And it’s a superb way of expanding a semi-modular synth. Maybe you have a 0-Coast or a Mother-32, a Behringer Neutron or Erebus then these are a perfect way to grow your sonic palette. VCO – Analog oscillator with sawtooth, triangle and square wave outputs, PWM and FM input. $150. 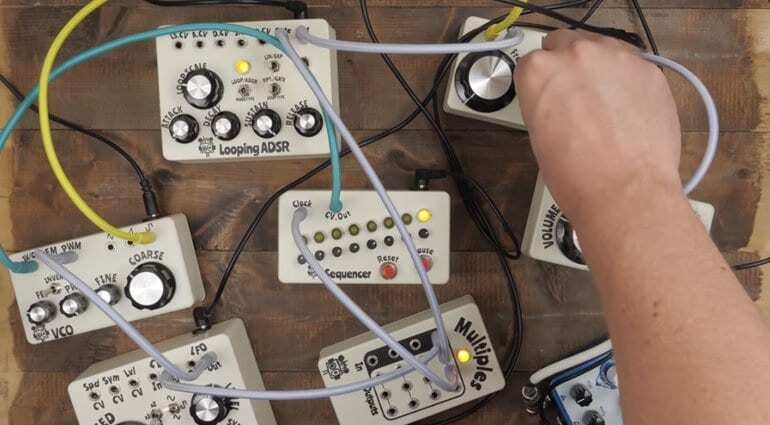 Looping ADSR – envelope generator switchable between gate and repeating modes, with loop scaling and CV on every stage. $150. LFO – Clockable with subdivisions, 3 waveforms with symmetry control to ramp the output. $150. S&H – Internal or external clock, attenuverter, 2 outputs and a bypass for the noise circuit for your own input. $125. VCF – 4-pole low pass filter with self-resonating resonance control based on the Prophet 5 circuit. $150. VCA – It’s a 2 channel VCA. $100. Sequencer – Simple 8-step sequencer with manual reset and pause. $100. Mixer – 4 channels, 4 knobs, one output. $75. 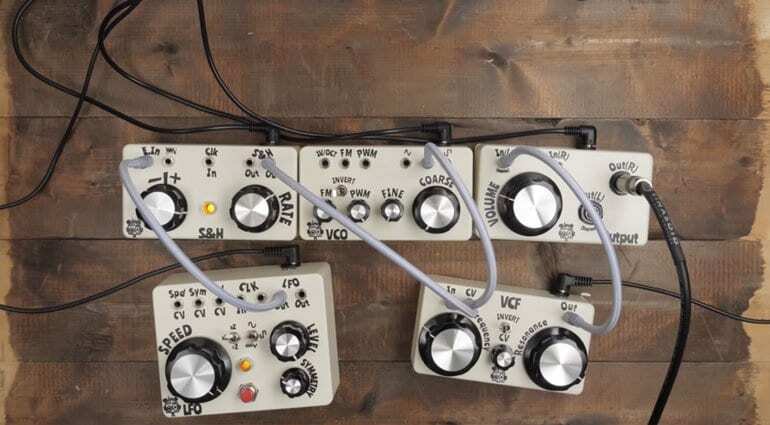 Multiples – 4 channels of input that splits to 3 buffered outputs. $75. 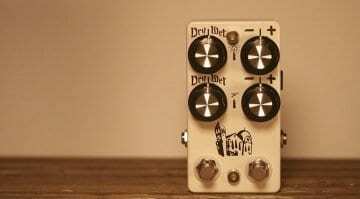 Slew – Dual channel module for glide or portamento. $75. Attenuverter – 2 channels of voltage regulating, inverting or generating. $75. Output – Headphone and line output module with jack sockets. $100. The little Hungry Robot icon is cute and the labelling and artwork on the boxes is nice and jolly, but the boxes themselves are a little dull. Or you could say they are ripe for a bit of individual expression. The video below gives some great examples of how they could be used, either as a closed system or connected to other synths. 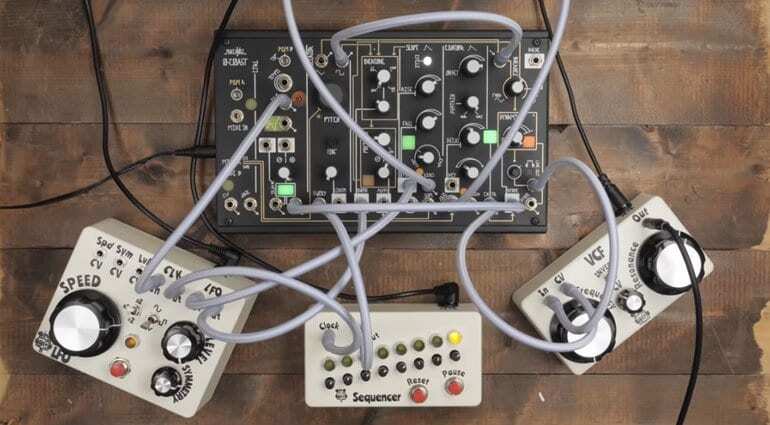 It’s a fabulous system for tabletop synth fiddlers who are Eurorack curious but daunted by the idea of investing in a case and starting that journey. Also really handy for people who have filled their Eurorack case and just need one more thing, or perhaps to simplify a live rig with a semi-modular and a couple of these. Yep, what a brilliant range of boxes. Working on synth modules this week. This isn’t even all of them. About 40 more in the queue. I pushed back the release date to the 24th for those waiting patiently. They have just become available in their store with shipping for $20 to anywhere in the world from their base somewhere in the USA (they don’t give much information away). There are more modules in the pipeline and I wonder whether this kicks off a bit of a thing.